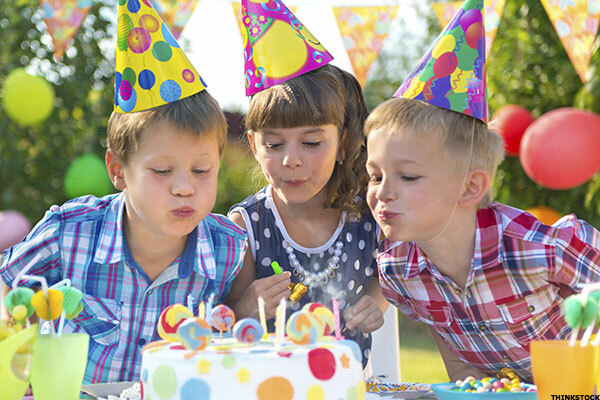 Kids grow up very quickly, which is why each and every one of their birthday parties should be something special. But what does really make a kid’s birthday party perfect? There are a few different things for you to consider whenever you have to throw one. This list can help you plan a party from the beginning to the end which can make things easier for you. Follow it up, and you will end up throwing your kid a great party. Themes may be one of the most important parts of a child’s birthday party, and often the kid loves to help pick it out. There are so many themes to choose from, from colours to TV shows and anything in between. Themes will also dictate what the rest of the party is going to be like, so this is an important first step. Let the kid help choose, and they are going to be excited about their party. After the theme has been decided, it’s time to plan the guest list and invitations. Make sure to send out invitations ahead of time, so that people are able to RSVP with enough time. Also you should really send the invitations ahead so that people can free their schedule for the party. Be mindful of who gets along with whom, and who will make the party go smooth. Food can be one of the easiest parts of the birthday party given that kids eat just about anything. Buy stuff at a large scale and check out what is on sale. Make sure to pick out healthy options that the kids can enjoy, given that they will be eating candy the entire day, so a healthy snack can’t hurt them. Kids like to have things to do. Make sure to plan some party games so that the kids are guaranteed to have the best time. There are a lot of different ideas as to what one can do, depending on the age of the kids and the theme of the party. You can plan a water balloon fight, board games, breaking a piñata, a small baking and decorating section to even hiring a clown or comedian. Kids get amused by anything, so make sure you plan stuff to do. Decorations should also go along with the theme. Party centrepieces are something you are going to want to work on. Aside from balloons and wall decorations, centrepieces are a key aspect for making the party look even more on theme. Look out for party centrepieces at Chair Cover Depot to make sure you get a look at all the available options for you.Plan the goodie bags. Goodie bags are possibly one of the things that kids look forward to most. Fill them with some candy and a couple of small toys such as a whistle or a yo-yo, and they’ll be set. Kids look forward to receiving these, so it’s an important part of the party. At the end of the day, just remember that the kid will be happy with family and friends around. Kids usually aren’t too picky when it comes to things like this, so sit back and relax because by following these steps you will be able to throw a great party.